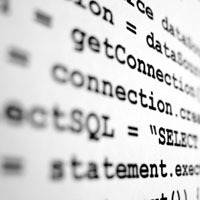 Software Code / Economic Espionage – A “next generation” wireless software engineer for a major U.S. Technology firm was suspected of misappropriating software code for sale to a Korean company. An internal investigation which included an examination of a number of computers and software code control servers indicated the employee had downloaded and copied vast amounts of code, technical drawings, and “bug fix” logs for the company’s leading wireless products. Evidence that the defendant had copied strings of code to CD-ROMS and other external storage devices was documented. The investigation also uncovered an “offer letter” of employment to the suspect from a Korean company, after he had denied such an offer existed. This case, under the leadership of an eDiscovery Labs founder, led to one of the first successful prosecutions under the Economic Espionage Act. The case resulted in a settlement with the defendant receiving a prison term.